Audiology covers the audio portion of your life, and it’s treated by your family audiologist. Balance issues are another integral piece of your ear health. Your audiologist in Brooklyn collaborates with the other medical specialties at Century Medical and Dental. Audiologists perform the testing you need when your hearing becomes compromised. Note: Brooklyn audiologists at Century Medical and Dental Center located in Downtown Brooklyn, Flatbush or Gravesend locations are accepting all major insurance plans including Medicare and Medicaid. Audiology is the branch of medicine concerned with hearing and balance-related conditions. Your audiologist in Brooklyn sees many kinds of disorders, ranging from complicated neurological issues to simple cases of dehydration. Audiologists are experts in the diagnosis and prevention of hearing and balance impairments for people of all ages. Hearing and balance disorders can affect you in a variety of ways. Audiologists are sensitive to how difficult hearing loss is; they’re trained to help you improve your quality of life. Audiologists may refer you to an otolaryngologist if you need treatment for hearing loss. Your ear has three parts: the outer, middle and inner ear. The middle ear is where sound is captured and sent to your inner ear and brain. If there’s damage to your middle ear, you have a hard time receiving sounds. 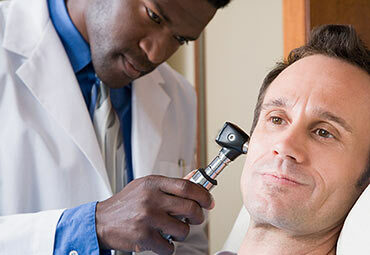 You need to consult with an audiologist if your hearing loss is significant enough to require a hearing aid. Testing your hearing regularly can prevent the undiagnosed damage that happens to your ears. Your ears sustain significant injuries over time from repeated audio assaults, such as listening to loud music, using a lawnmower, and getting infections. Also, hearing loss, tinnitus, balance issues, vertigo and dizziness are common side effects of migraine headaches. Alternatively, migraines can cause sudden hearing loss in one or both of your ears. The good news is audiologists conduct testing to help identify the cause. The results improve your hearing or limit your hearing loss. Pure-Tone testing. In Pure-Tone testing, you’re given headphones to wear and asked to listen for faint tones or beeps. Speech testing. You hear words through headphones and repeat what you hear. This test is run in either a quiet or loud place to simulate real-world situations where you experience hearing loss the most. Tests of the middle ear. These tests determine which of the three parts of your ear have a hard time receiving sounds. Auditory brainstem response (ABR). Sounds are played in your ear through headphones; your brain’s responses are taken to learn if there’s a problem with your ears sending signals to your brain. Optoacoustic emissions (OAEs). In your inner ear, hair cells vibrate when sound enters. A small sound is created that echoes back to the middle ear. This sound is your OAE measurement. With normal hearing, you generate OAEs. If you suffer hearing loss of more than 25 to 30 decibels, these small sounds aren’t generated. Bone conduction testing. A small device is put behind your ear or on your forehead and your skull is gently vibrated. This vibration determines how well you hear and if there any problems with your inner or outer ear. Visual reinforcement audiometry is best used on children between the ages of six months and two years old. The audiologist running the test trains your child to look in the direction they hear a sound coming from. Conditioned play audiometry works well for children ages two through five. Your child completes a task every time she hears a sound. The tasks include fun things, such as throwing a ball, pushing a toy truck or stacking blocks. Tympanometry tests your eardrum’s movement. Acoustic reflex measures what causes your eardrum to tighten when you hear a loud sound. Static acoustic impedance checks to see how much air is in your ear canal. If you’ve been experiencing any hearing loss symptoms, contact an audiologist in Brooklyn who can help. Many types of hearing loss are irreversible, but you don’t have to accept muffled hearing as your new way of life. There are many options available to improve your hearing.